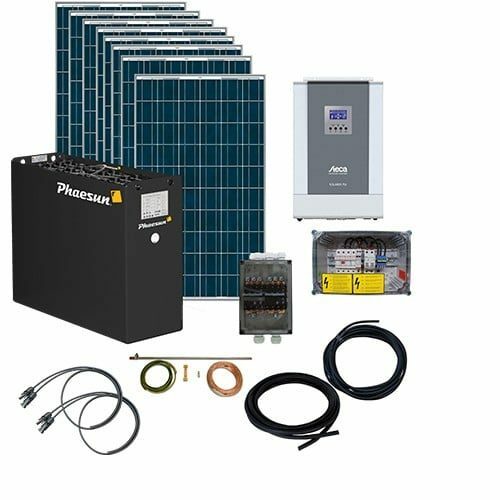 With this DIY Energy Generation Kit Solar Apex 5Kw 48V Off-Grid package you can enjoy all the comfort of reliable power supply for AC appliances for home uses or for professional work. The expandable kit includes high quality crystalline solar panels, long-live batteries, pure sine wave inverter with integrated MPP Tracker and all other components for safe installation. You‘ll be able to energize an efficient refrigerator, cordless phone system, laptop, lights, television, fans, and plenty of tools and machines. This brings additional energy independence for all your adventures.